I thought I posted this already, but went through my files and realized that I hadn't yet. 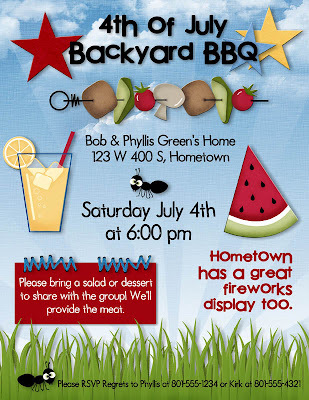 This is a quick and easy invite that I made for our family 4th of July BBQ. It was way easy because of the darling digi artwork by my friend Annette. I then printed these out on 8 1/2 x 11 sheets, folded and mailed out.Description: Digi artwork from the Ettes and Company's Splash N' Summer Collection and fonts from Lettering Delights. I created this in Photoshop, but you could very easily create it in word if you "had to." I have been wanting to try this for such a long time and finally did it today!! Super easy and fast too. I pulled out about 4-5 frozen rolls (makes one pizza) and let them thaw overnight. I then rolled them out, covered both sizes with olive oil and threw them out on the grill. After both sides were lightly browned I put ranch dressing, bbq chicken (made a day earlier) and covered with cheese. 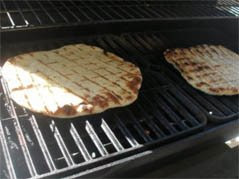 Then I put them back on the grill until the cheese melted. One thing I would do different is maybe not grill the bottom size too long because after I left it out there to melt the cheese it burnt the bottom a bit...although that was our favorite part of the pizza. Huge hit!! Kids want to put their own toppings on them next time. Way faster then cooking it in the oven! So when I met my husband a lifetime ago I remembered he would always tell me that he was "twitterpated" with me. So of course I was drawn to this darling scrapbook line from Imaginisce called Twitterpated. Check back later too...I'm going to recreate this cute layout digitally with a digi kit I have laying around and post it. Shaped Papers - too cute! 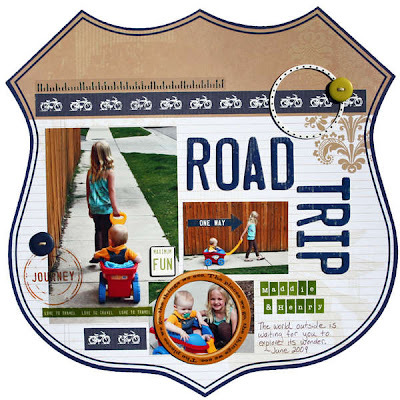 Found this darling layout on Scrapbook.com. I see those shaped background papers all the time, but don't always see past the idea of mounting the darn shape on another 12x12 sheet of paper, but this one jumped out at me and I would leave it as it is...so cute!! 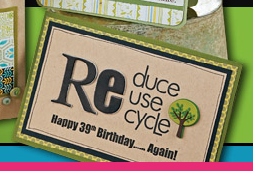 Materials Used: Stickers, stamps and die cute paper from Deja Views/Yellow Bicycle. Click here to see more. I saw this darling birthday card on the cover of Paper Crafts magazine a while back and I've wanted to duplicate it for a while now....so I did it digitally tonight.This is the finished product...cute huh?? I created this one with the darling new digital collection from Ettes & Company called Wonderful World.